THE TEXAS CHAINSAW MASSACRE not only changed the face of horror in 1974 but still remains one of the most shocking, powerful and terrifying films ever made. 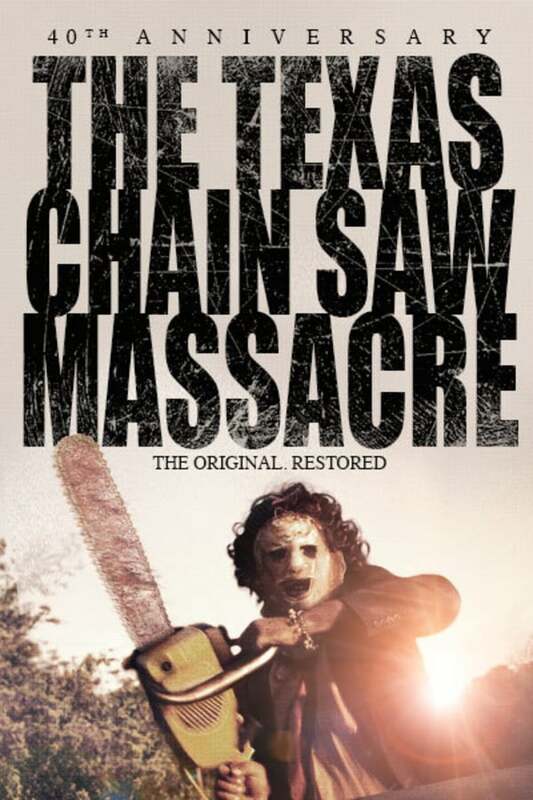 Widely banned on its release it’s notoriety has not diminished and this harrowing tale of a depraved Texan clan, and its chainsaw wielding icon of horror, Leatherface, continues to stun and disturb audiences like no other film. This new director supervised restoration brings new life and detail to the film and immerses the viewer as never before. Contains violence and gore. A group of friends are terrorised by a chainsaw wielding madman and his depraved family in this legendary horror. Raw, disturbing, and endlessly surprising. wow, a horror movie that has subtlety, is that legal?! A staple for any fan of horror.